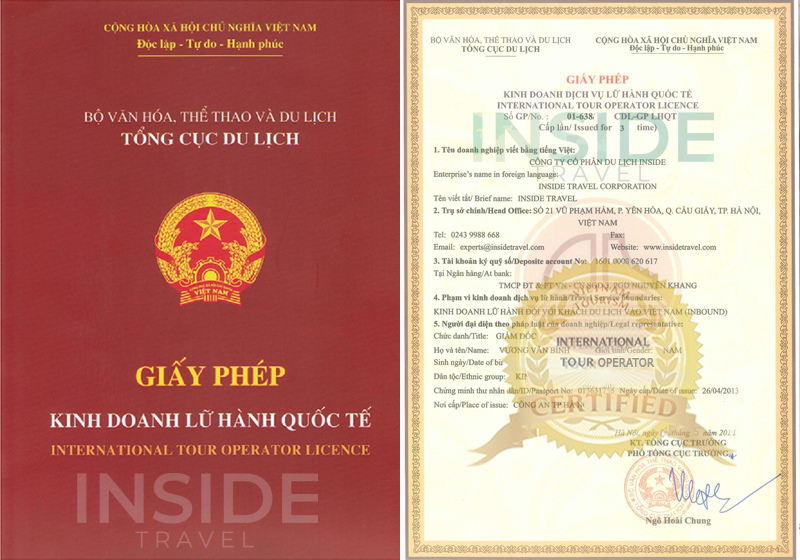 The development of Ninh Binh tourism is of much potential. Located at the gateway between the Red River Delta triangle and the North, this land owns various attractions as well as historical places related to the royal palace of Vietnam in the 10th century (Dinh and Early Le Dynasty). The province aims at being a tourist city and currently is given privilege to become a center for tourism. Ninh Binh is widely considered as "Halong Bay on land" thanks to its diverse ecosystem with an amazing abundance of fauna and flora, a huge number of caves, lakes, grottoes, karst towers, and much more. Similar to Halong, destinations of Ninh Binh may exhaust people to explore all of them, including natural beauty sights, ecological sights, historical sites as well as spas and resorts. Cuc Phuong National Park - Vietnam's largest nature reserve - is also in the vicinity of Ninh Binh province. In addition, several vestiges and landscape of the province are listed in the national category. A visit to the three grottoes (Tam Coc), Bai Dinh Pagoda (Vietnam's biggest pagoda), Phat Diem Cathedral, Trang An Eco-tourism Complex, Hoa Lu Ancient Capital, and so on. Each destination or even all of them at a time is always worth your try. The best time to explore the beauty of Ninh Binh is at spring as apart from sightseeing, you can immense yourself into a numerous number of meaningful and overwhelming festivals. Bai Dinh pagoda festival from the sixth day of the first Lunar month is not only an occasion to worship Buddha and Gods but also to memorize national heroes such as Quang Trung and Dinh Bo Linh; while Hoa Lu Ancient Capital Festival (also known as Truong Yen festival) is to commemorate kings Dinh Tien Hoang and Le Dai Hanh for their merit of establishing Dai Co Viet Kingdom and building up the Capital Hoa Lu - together with another joyful round of festivals for you to consider taking part in.